Behind every great food truck are happy customers – and the possibility of a lawsuit waiting to happen. From setting up to serving food, when you work with the general public you take on a certain level of risk. The good news is that having the right insurance can protect you from a financial loss. As part of our Food Truck 101 Owner’s Insurance Guide, were helping you become better educated on the different types insurance coverages you’ll need to run a successful and profitable food truck business. In this article, we’re going to focus on commercial general liability (CGL) insurance. 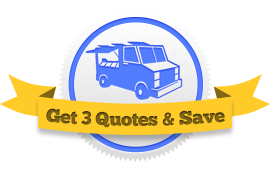 Your commercial auto liability for your food truck is only one slice of the insurance pie, protecting you against property and bodily injury damages you cause with your vehicle. But what’s going to protect you from claims after you’ve parked the truck, set up the tables, and started serving food? Your CGL insurance not only protects you from claims that arise from bodily injury and property damage, but also the food that you sell. For example, if someone becomes ill or is injured by the product that you’re selling, it’s your CGL that will protect your business financially if you are sued. It also provides coverage if you are accused of false advertising or using someone else’s business trademark , and can even help cover your legal fees to defend your case in court. The fact is even if you’ve done everything by the book, you can still be accused of negligence that could result in a costly lawsuit. Sound scary? Well, it is. And just one reason why you need to set the bar high when it comes to selecting your policy limits. Cutting corners on food costs is being frugal and cost effective. Cutting corners on your commercial general liability insurance is a bad business decision. A single claim from someone becoming ill from eating your food or a trip and fall can be enough to close your business and financially ruin you. Most food truck insurance liability limits start at $1M, but can go as high as $2M. If you’re presented with an option, go with the highest limit available. In addition, ask your agent about a commercial liability umbrella that can provide you even more protection, often at a very reasonable rate. Having CGL also allows you to enter into contracts to do business at events, commissary kitchens, and other venues/locations that require you carry liability insurance. In fact, you’ll often be required to provide proof of liability insurance in the form of a certificate provided by your insurance agent before setting up shop. Keep in mind that there could be a charge for each certificate request, depending on the type of policy you select. A common mistake that many food truck business owners make is to cut corners by purchasing a premise only policy. This type of policy is not meant to follow you to different locations. So unless you plan on doing business primarily at a single location, you won’t have the coverage under this type of policy. We live in a litigious society. The fact is, it could take just one claim to shut your business down for good. Your insurance agent is the ideal person to advise you on where your exposures lurk and to provide you with the best policy limits based on your individual exposure. At Food Truck Insurance HQ we’re cooking up the perfect combination of coverage and rates to protect your food truck business from costly claims. We’d like to show you how easy it is to insure your dream – no matter how and where you roll!